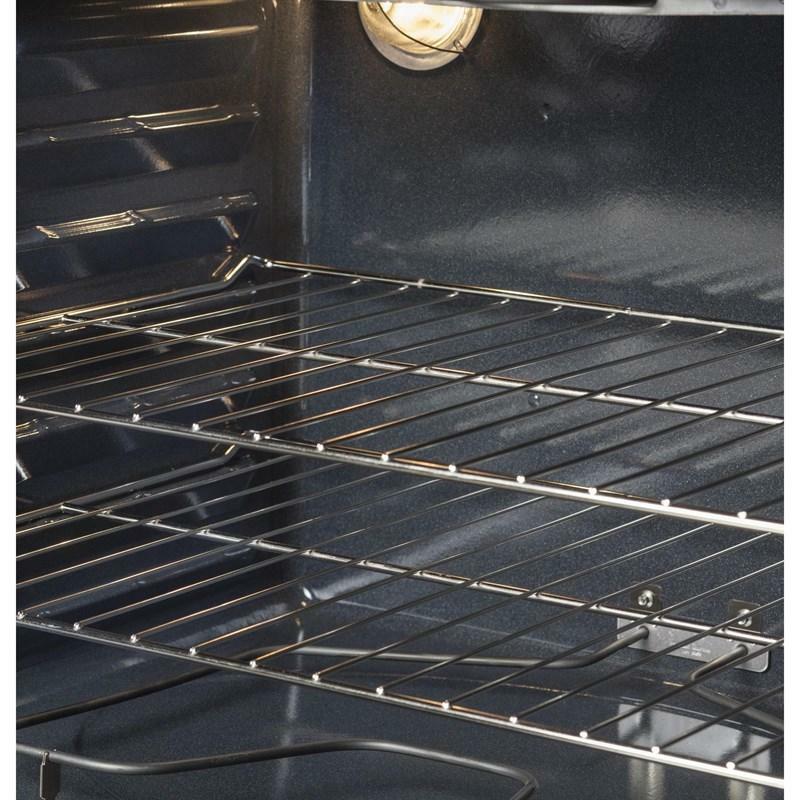 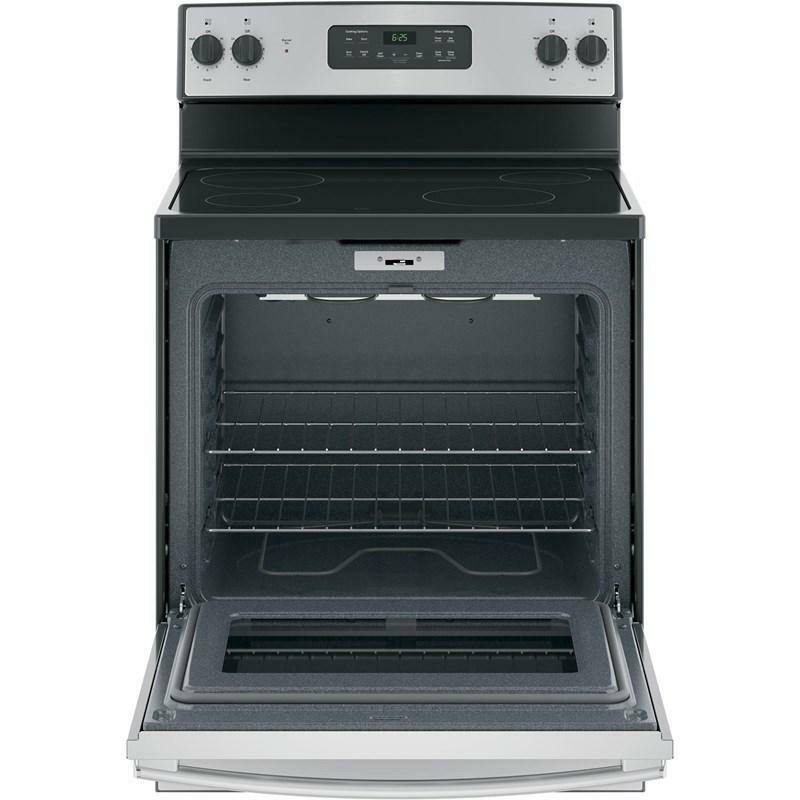 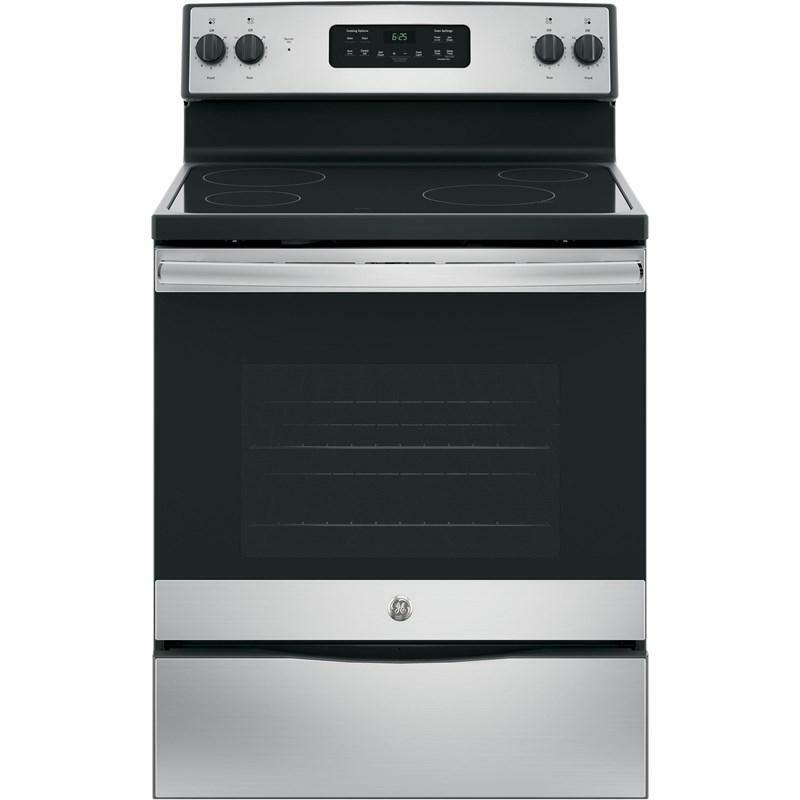 GE® 30" free-standing electric range features a self-clean oven allowing you to clean the oven cavity without the need for scrubbing. 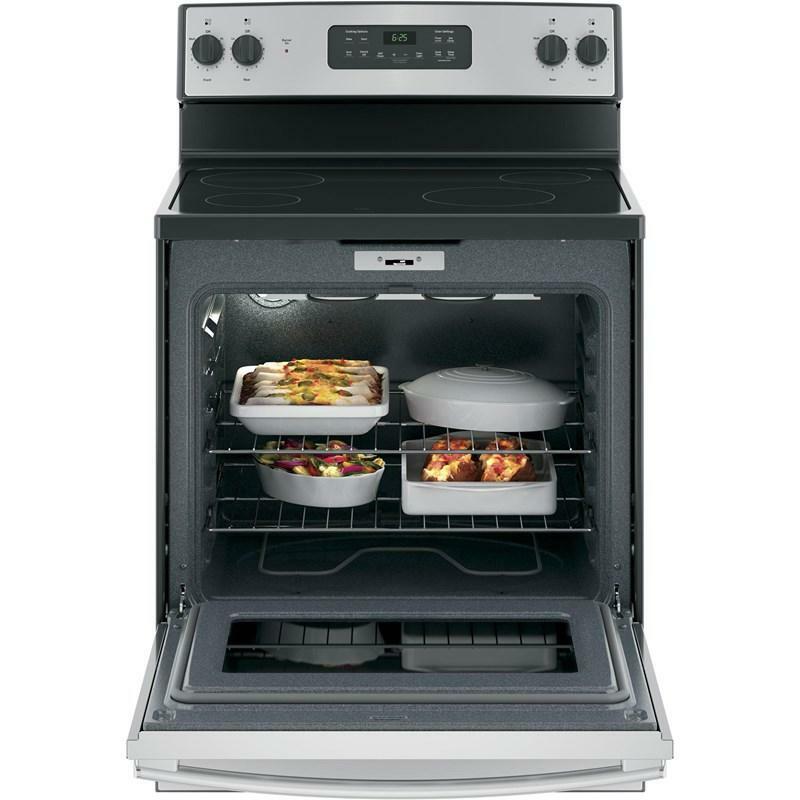 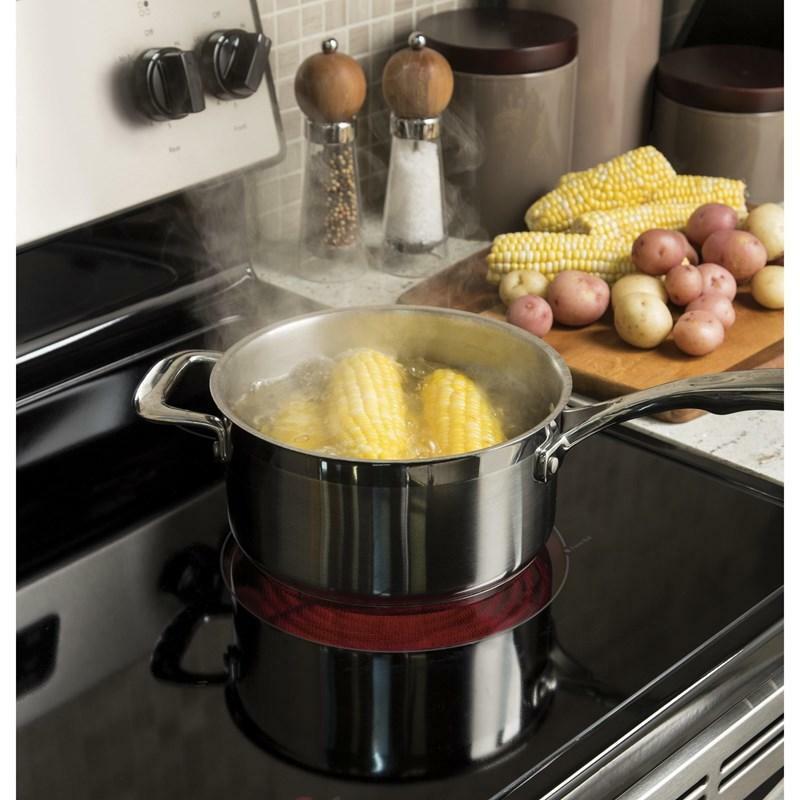 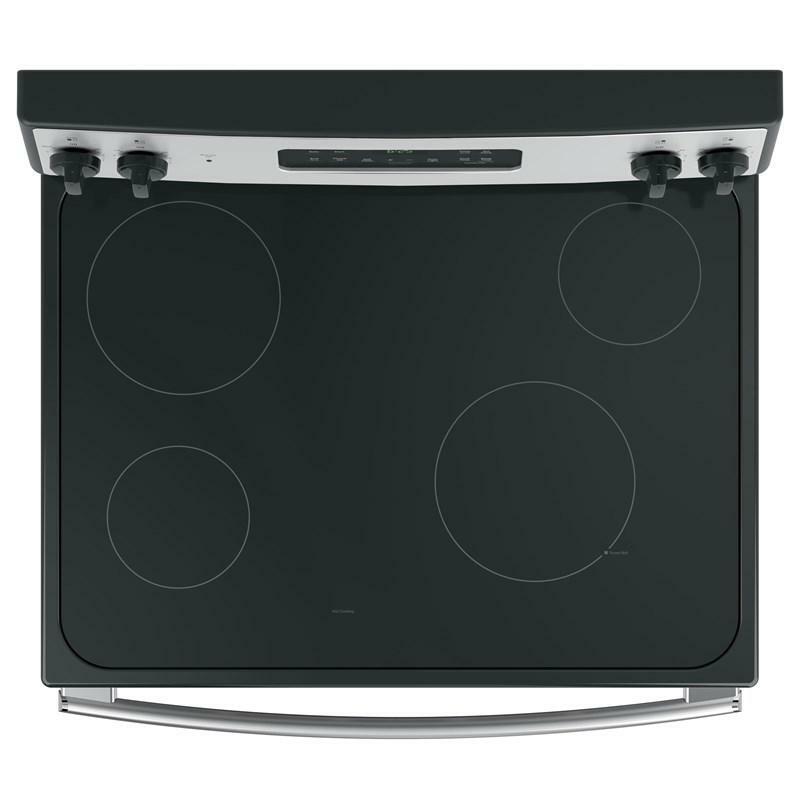 It also boasts a dual-element bake producing even heat and great results with the upper and lower elements. 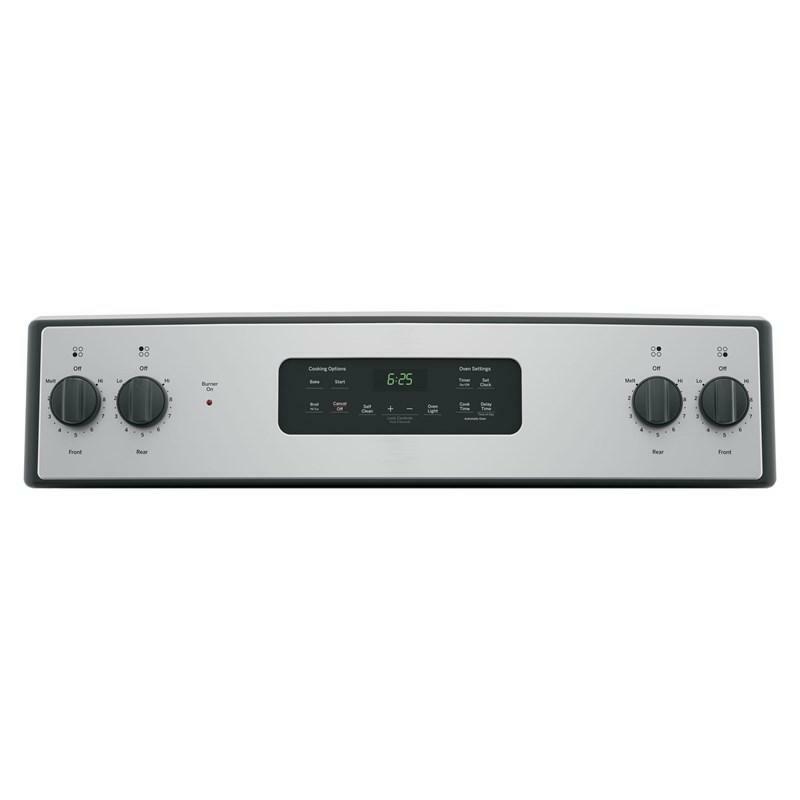 • Element - Left Rear	8"
• Element - Right Front 8"